Strong winds and plenty of sunshine are the norm for August weather. Highs average in the mid-80’s, while water temperatures are a warm 79 degrees Fahrenheit. 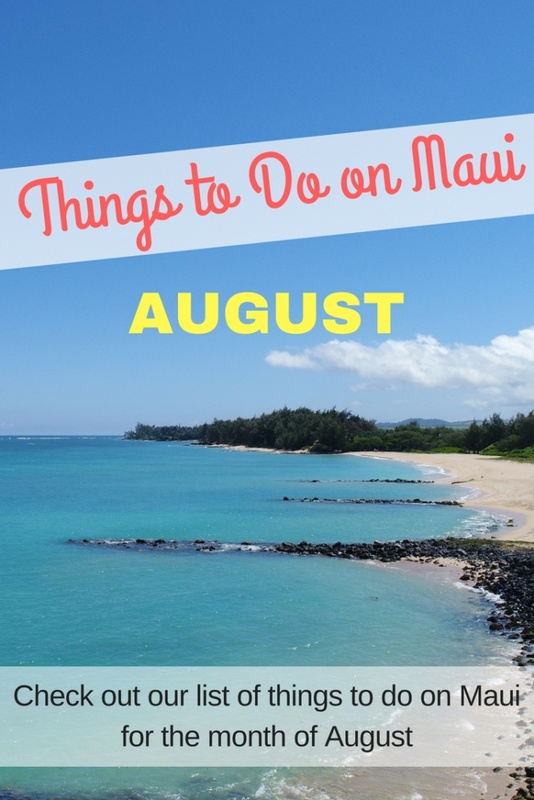 Trade winds blow consistently throughout August, oftentimes averaging between 10-20 miles per hour. Winds, however, usually don’t pick up until late morning, so plan beach and water activities accordingly. Summer is also the time for waves along Maui’s south and southwest coastlines, while north shores are flat. Be sure to exercise caution at popular South Shore beaches, particularly Big Beach, when the waves are up! SNUBA – a cross between snorkeling and SCUBA Diving – puts you face-to-face with Maui’s colorful marine life without needing SCUBA certification. If you’re a comfortable swimmer, SNUBA allows you to explore beyond the depths of snorkeling. Stay at the surface or go as deep as 20 feet by breathing through a simple regulator. 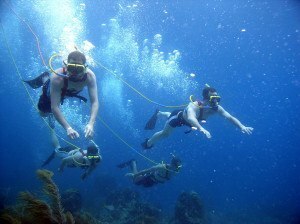 SNUBA is fun for the whole family and let’s you experience Maui’s coral reefs like you’ve never seen! 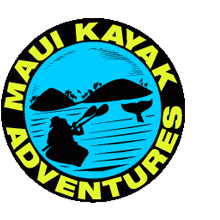 Pride of Maui offers SNUBA and snorkeling options. Maui is known throughout Hawaii for its beautiful beaches. And with over 50 miles of sandy coastline, it’s still possible to find your own, private beach haven (talk about romantic!). 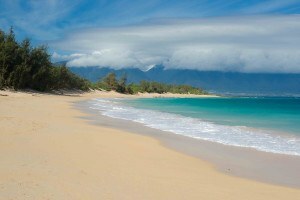 Po’olenalena in South Maui is a wide expanse of sand that rarely gets crowded, particularly in the morning. Baldwin Beach Park on Maui’s North Shore is a popular weekend spot, but is so big that you’ll never worry about sitting on top of other beach goers. Sugar Beach stretches from Ma’alaea to Kihei and is a beautiful spot for an early morning walk. Don’t forget the picnic lunch and a bottle of reef safe sunscreen! It’s the ocean like you’ve never seen! 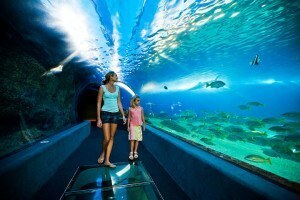 Kids and adults alike will delight in the unique chance to explore Maui’s underwater world at Maui Ocean Center. Choose from a variety of family-friendly day pass options or opt for a behind-the-scenes tour or native plant walk. 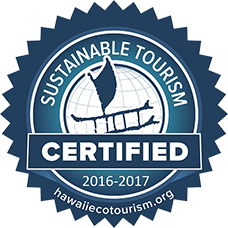 For those who are SCUBA certified, you may event opt for a shark dive to get up and personal with up to six species of sharks that live in Hawaii’s ecosystem. Check availability and purchase tickets online or by calling (808) 270-7075. 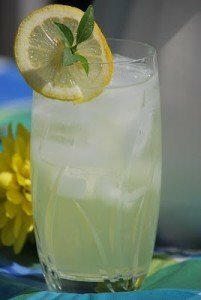 Kick back and relax in the thick of summer with a refreshing Thai Basil Lemonade (recipe courtesy of Star Noodle). In glass with ice, muddle Thai basil leaves. Add lemon juice and simple syrup. Top with soda and ice. 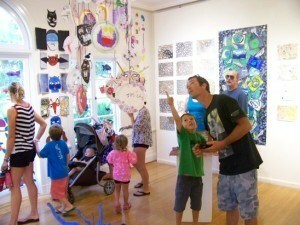 A signature event to benefit the MACC’s education and cultural programs. 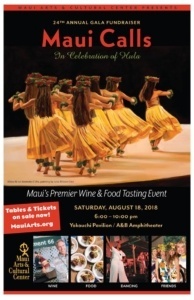 Enjoy Hawaiian music, food, drinks, and dancing. 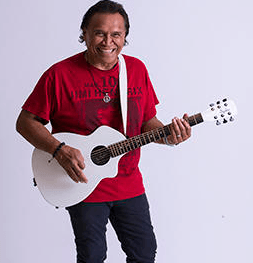 Henry Kapono and a star-studded line up of Hawaii’s most popular entertainers will come together with an evening of music, laughter, and stories as they share the hit songs and celebrate the soundtrack of Hawai‘i. 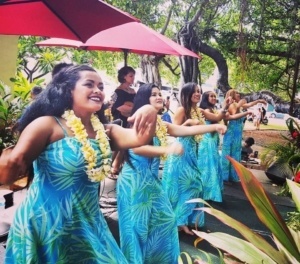 Highlights: Enjoy this festive day of hula, honoring the late Emma Farden Sharp. “Aunty Emma” was a renowned and much-respected kumu hula of Lahaina. 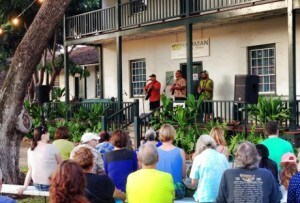 Hosted outdoors under the Lahaina Banyan Tree, the event features hula performances by top kumu hula and hula workshops. Details on the event’s Facebook Page. 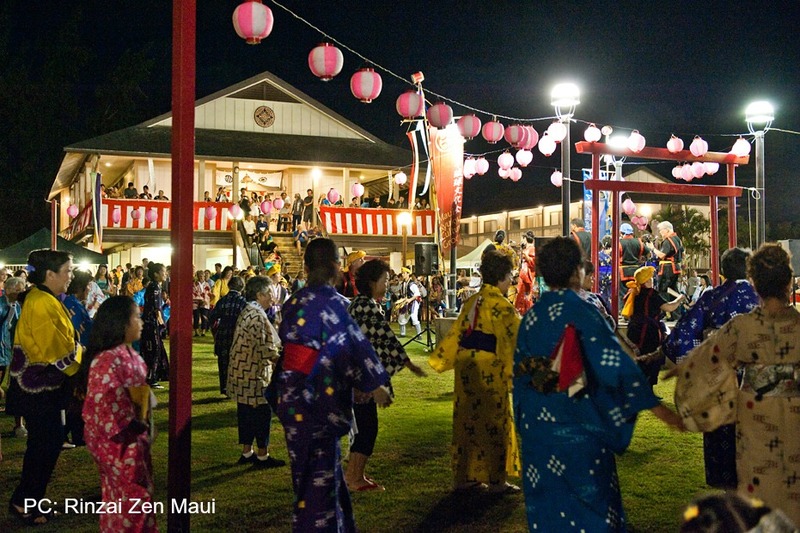 Highlights: Maui’s Buddhist temples come alive with color, dance, and music during annual Obon Festivals, which celebrate and pay respect to one’s ancestors. These uniquely Japanese cultural events are open to the public and include traditional obon dances (bon odori), taiko drumming, and ceremonies. Location: Wailuku Hongwanji Mission/1828 Vineyard St. Location: Lahaina Hongwanji Mission/551 Waineʻe St. Location: Pāʻia Rinzai Zen Mission/120 Alawai Rd. Location: Kula Shofukuji Mission/53 Upper Kula Rd. If you like our post, please share! We would also love to see additional things to do in the comments below. Mahalo! Would you like to join us for a kayak tour? Book below!